Surprise Lake is a glacier fed body of water that's nestled in the valley of Thunder and Spark Plug Mountains. Its beauty is truly staggering and surprising. It’s only eight miles round-trip if you turn back after Surprise Lake. Why settle for one alpine lake when you can visit two in the same day? The hike to Surprise and then Glacier Lakes – together known as the “scenic lakes” (and appropriately so) – makes for a beautiful, moderately challenging adventure. Visiting them both, by taking the Mt. Baker-Snoqualmie National Forest Trail #1060, is ten miles round-trip, with 2,700 feet of elevation gain. It’s only eight miles round-trip if you turn back after Surprise Lake, but the extra three miles to see Glacier Lake too are well worth the effort. The first 0.2 miles are along a power line service road, and then you will turn right to begin hiking on the true trail. It starts off in the slender Surprise Creek valley, through an old growth forest of cedars, hemlocks, and firs. After 1.3 miles, you will cross Surprise Creek by walking over a big log. Then, continue alongside the pleasantly babbling water for about another 1.5 miles and get ready to climb up the short series of switchbacks, over which most of the hike’s elevation gain is made. 4.5 miles into the trip, you will reach a talus field. Continue ascending through the forest until you reach a junction: keep right (the left route goes up to Trap Pass and then on to the Pacific Crest Trail). The trail then crosses a marshy meadow and crosses the creek again. Soon afterward, you will arrive at Surprise Lake. If you are looking to make it an overnighter, there are very nice designated camping sites around the lake. The blue-green alpine water is a wonderfully serene backdrop to spend a mellow afternoon. There are also some good fishing opportunities in the lake. To continue on to Glacier Lake, keep heading south along Surprise Lake’s banks. Shortly after passing a small lake, find an unmarked trail on the right-hand side, beneath a talus slope. 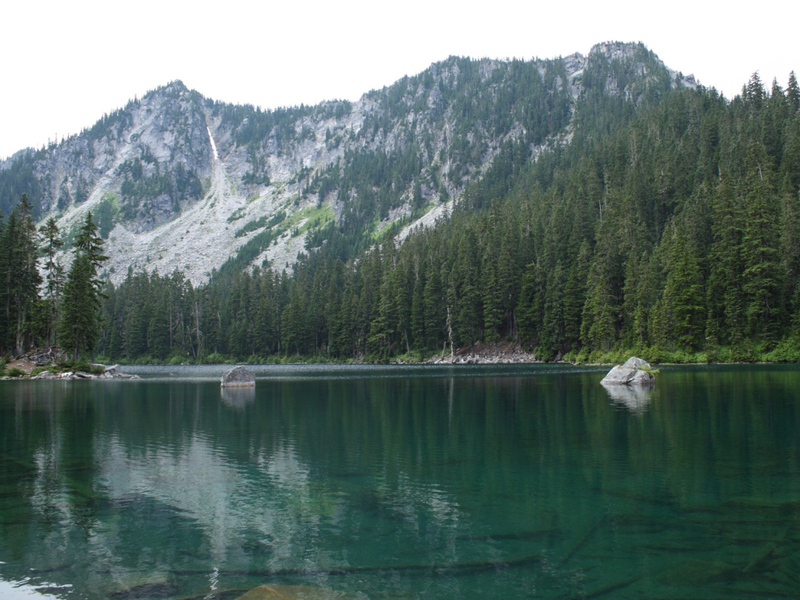 You will then drop down to Glacier Lake, siting within an impressive granite basin. 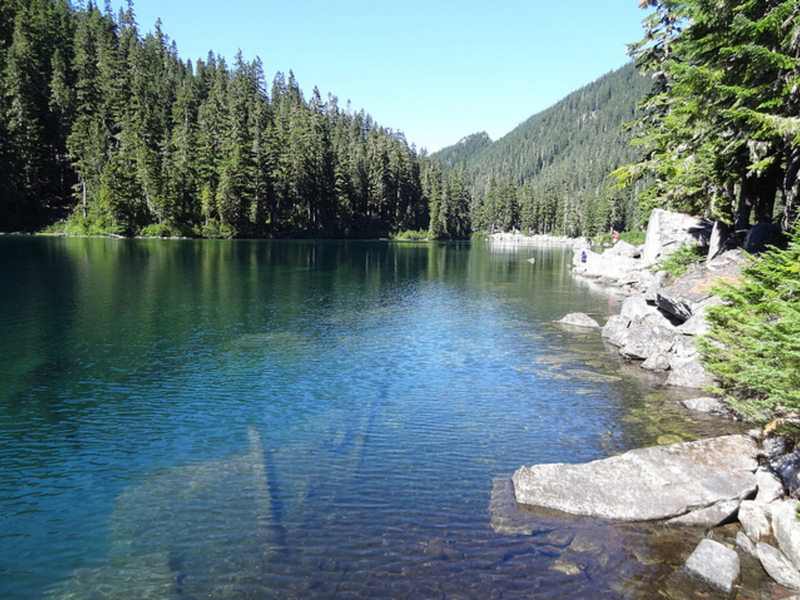 Note: There is also a Surprise Lake Trail within the Goat Rocks Wilderness, but this post is about a different hike (that one is further south, accessible by Highway 12). Casual hikers who are ready to take on a bit more of a challenge, or backpackers who are looking for a relatively easygoing destination. 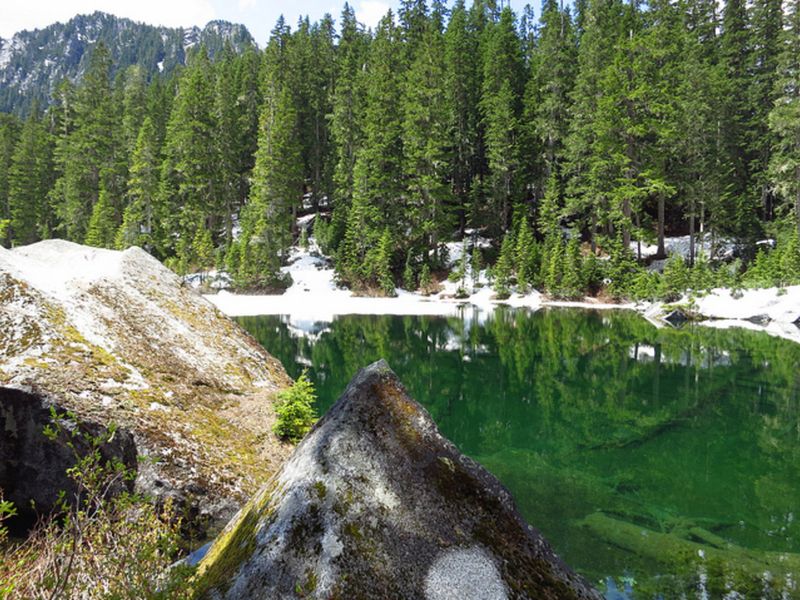 Plus, anyone who loves visiting alpine lakes! This glacially fed pair will not disappoint. Take US 2 for ten miles past the town of Skykomish, and then turn right (south) into the old town of Scenic (just after the Iron Goat Interpretive Site, and before the highway’s railroad underpass). Cross the river and then turn right onto a spur road with signs pointing toward the Surprise Creek/Surprise Lake trailhead. You will need a Northwest Forest Pass.